Have you ever been to a competition and been faced with a slick bar or a bar that you are not used to? If so, the new BKX Carbon Comp grips are for you! Our PATENT PENDING one of a kind technology allows these grips to stick to any bar, no matter the scenario. YOU DON'T EVEN NEED CHALK!!! Built with the same quality craftsmanship as our other grips, the Carbon grips are made for slick and powder coated bars. As always, we protect the wrist from the buckle and use only the highest quality stitching to ensure they hold up. Grab a pair today and don't worry the next time you see a new bar. Manufactured from lightweight and sticky carbon fiber which feature a custom wrist strap which is designed for comfort and support positioned under the buckle. Bear KompleX Cross training grips will NOT dig into your wrist! Our superior carbon fiber product will protect your hands and mold to fit the bar you are holding. Be sure to protect your hands during your Cross training WOD to maximize your output. I have been participating in crossfit for a couple years now. I was getting discouraged about my lack of progress on bar movements. Anytime I jumped up to a bar for t2b or kipping pull-ups I could only perform a couple of repetitions before having to let go from hand pain and fear of tearing. I had tried 4-5 different grips to no avail. 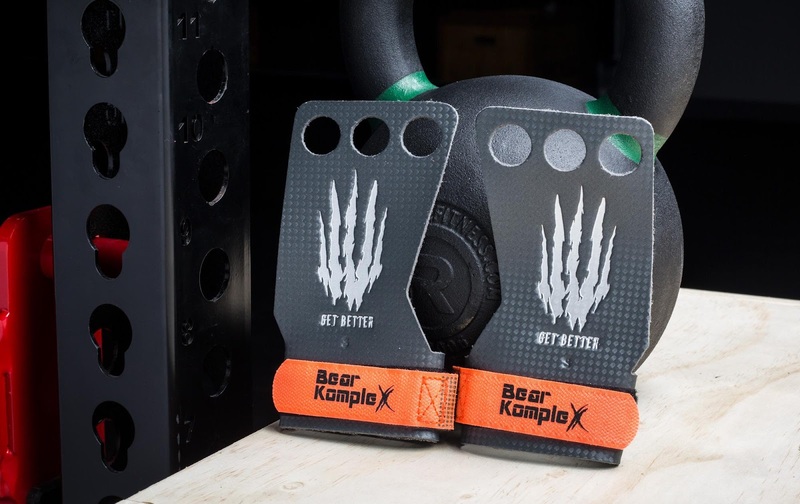 Then finally I went for the bear complex carbon fiber 3 finger hole grips that I saw other people using at the gym. It was instant change in my ability to maintain grip on the bar. I was able to dramatically increase my reps on the bar without the pain and fear of ripping my hands. The wrist straps are comfortable and do not dig in. I also got a larger size since I prefer not using the finger holes. The carbon fiber does seem to possess an almost sticker quality to the bar compared to other materials. At the end of the day these grips are worth every penny. Along the way of learning muscle-ups, toes-2-bar, butterfly PU and other high bar moves my hands would tear. Those of you who are learning a new technique know my plight when you are making GREAT progress and now it is hindered with torn hands. Some grips gave protection longer than others, but it was just a matter of time before ripping again. In the end, I was thinking it was bad technique, but that WAS NOT the case. 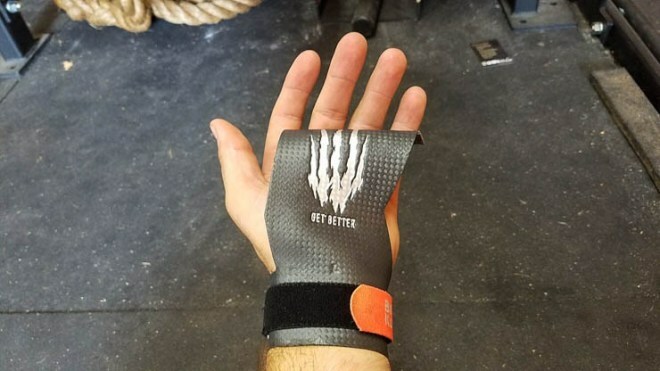 I tried numerous hand grips ( four different POPULAR brands, not store knock-offs) recommended from fellow crossfiters to reading online reviews, I even made some from 1" athletic tape.